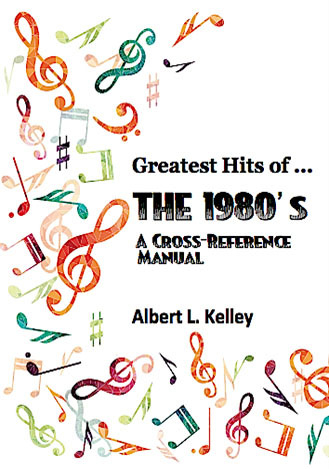 Here is another indispensible cross-reference manual to the music of the 1980’s. This era created what some have called the next generation of Classic Rock. 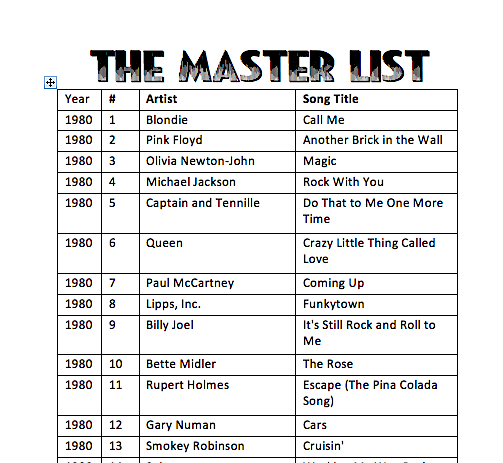 While some songs from the early 1980’s definitely fit into the Classic rock format, the 1980’s really introduced a new format. It brought in the hair bands, glam rock, new wave, and a lot of pop. Both the music and bands became more stylistic. Synthesizers found greater use, leading to an increase in electronic music. Even traditional rockers like Neil Young released electronic albums (Trans – 1982). Through it all, some of the biggest stars in music emerged – Madonna, Janet Jackson, Paula Abdul, and Whitney Houston, to name a few.